The notion of a mafia movie starring Joe Pesci, Robert De Niro, and Al Pacino under the direction of legendary filmmaker Martin Scorsese seems like a genre dream team and that is exactly what the hitman drama The Irishman is turning out to be. The possibility of Pesci reuniting with De Niro and Scorsese on the latter’s long-developing passion project The Irishman first arose earlier this year, and now all three are reportedly confirmed for the film, with Pacino in final negotiations for a role. Netflix acquired the rights to finance and distribute the film in 2017 and will give it a theatrical run of some sort to qualify the film for the Academy Awards. 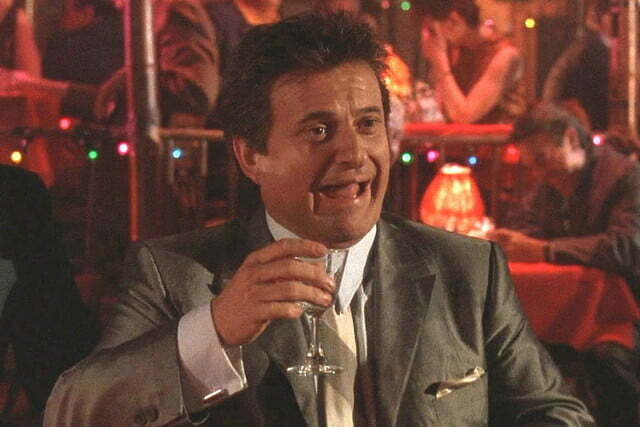 According to Deadline, Scorsese’s film pulled Pesci out of retirement but he was not an easy sell. The actor who won an Academy Award for his supporting role alongside De Niro in 1990’s Goodfellas reportedly turned down the role around 50 times before finally relenting. Pesci is expected to portray Russell Bufalino, a Mafia boss suspected of having a role in the infamous disappearance of labor union leader Jimmy Hoffa in July 1975. The Irishman is based on the novel I Heard You Paint Houses by Charles Brandt, who served as the lawyer for notorious Irish hitman Frank “The Irishman” Sheeran. The story supposedly tells the true story of Hoffa’s disappearance, based on Sheeran’s deathbed confession. Steven Zaillian (Schindler’s List, American Gangster) is writing the screenplay for the film. De Niro is attached to play Sheeran in the film, with Pacino in talks to play Hoffa. If all the deals are finalized as expected, The Irishman will be Pesci’s fourth project with Scorsese — following Raging Bull, Goodfellas, and Casino — and his seventh project with De Niro. It will also be his first onscreen role in a feature-length film since 2010’s Love Ranch. If Pacino’s deal is finalized, it will be the actor’s first project with Scorsese. Also reported to be circling roles in the film are Harvey Keitel (Mean Streets, Taxi Driver) and Bobby Cannavale (Boardwalk Empire). Keitel, who worked with Scorsese on multiple projects in the past, is expected to take on the role of Philly crime boss Angelo Bruno, while Cannavale is in talks to play “Crazy Joe” Gallo of New York’s Colombo crime family. Filming on The Irishman is expected to begin in July in and around New York City and continue through December.